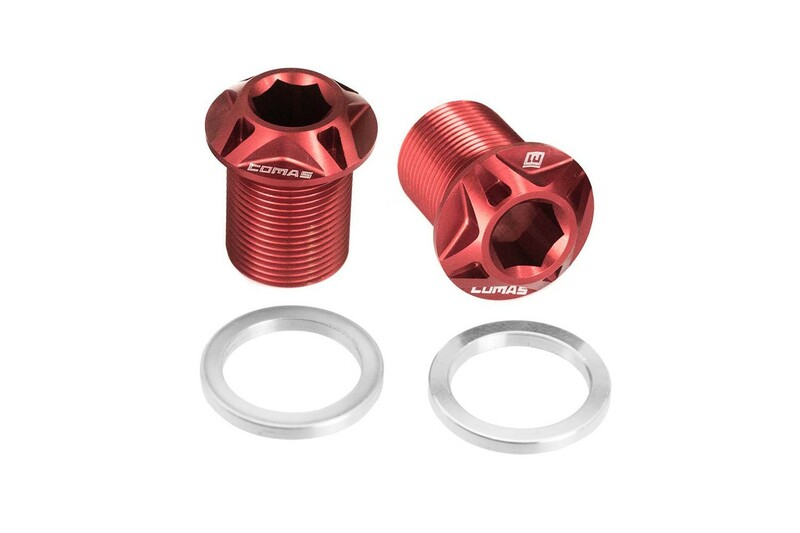 Ultralight Comas M15 aluminium crank bolts. Compatible with most ISIS bottom brackets. Can be tightened with an 8mm Allen key. 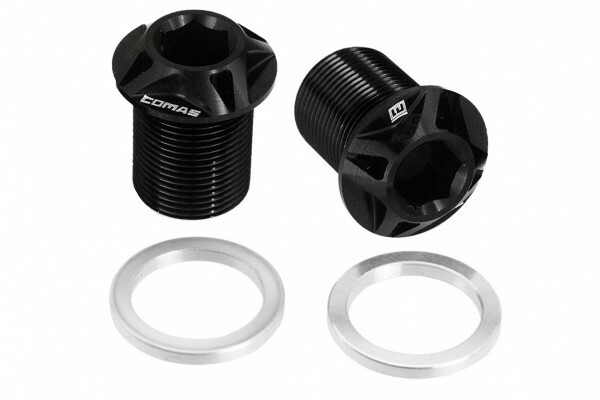 - Comas M15 crank bolts, specially designed for ISIS cranks. - Ultralight, made from high quality 7075-T6 CNC aluminium alloy. - Low-profile tapered head, with multiple recesses that help save weight. - 8mm Allen hole-through head, for easier installation. - Note: since these are aluminium bolts, they mustn’t be used to install the cranks. For that it’s recommended to use some steel bolts instead, then tighten the cranks, remove the steel bolts and install these aluminium bolts. - Two options available: anodized black or red, with white laser etched Comas graphics.